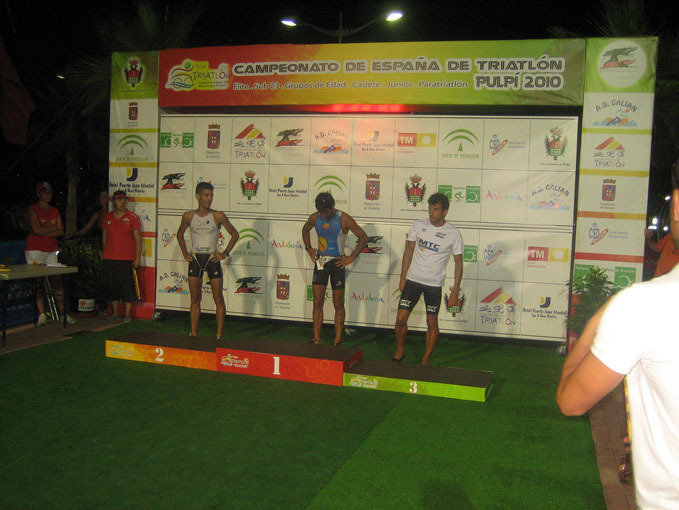 In the last weekend of August, the Spanish Triathlon Championship took place in Pulpí (Almería) and on start list of the 30-34 male age group wasI, Velocite sponsored triathlete Rodrigo Borrego, in order to pursue one of the medals. I was probably one of the favorites after winning my category in the two qualifications races I took part in during 2010 (in Valladolid and Madrid) in which I won with some margin. But the battle was going to be very difficult because of my weakness in the swim and the level of competition for the 2011 European Championship race slots. 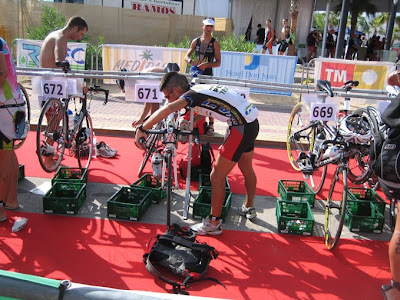 The day started quite bad with a lot of chaos in the organization of the race because of the huge amount of people and different races and, besides that, I had a puncture just one hour before the start (incredibly hot near 40ºC), when I was entering the transition area. However, after the “ritual” preparing everything in the box, I was able to make a fresh start and be concentrated on what was really important: race hard and do my best in the following 2 hours. People like me who don’t swim so well suffer a lot in a two laps swim because the first turn is quite soon and there are a lot of knocks. 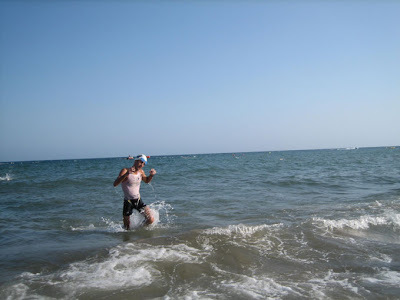 But with a little experience, I managed to stay calm during the first 500 meters and after that started to gain positions thanks to good orientation in the water (many swimmers lost their way and lost precious time). I finished the swim in 26th but with only a minute lost (good swim!) 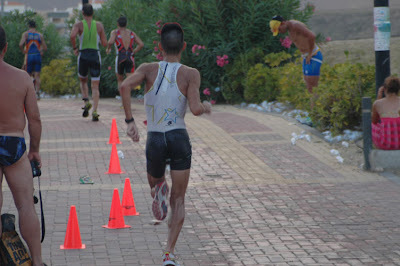 and in the long transition area I managed to gain some more positions. After the first 3 kilometres on the bike I arrived in a little group that finished the swim nearly half a minute before me. On the bike I was in the chase pack 20 second behind the leaders, but only four triathletes were working hard, including myself. On the third lap we started to work a bit less and so the leaders started to get widen the gap again to one and a half minutes in the second transition. I started the run segment down by that amount and in the 18th place, so I thought: “I have nothing at all to lose so I went in full gear without thinking that it was a 10K race. I was running as fast as I could, as if it were a 1 K race; I had to gamble on all or nothing”. After that the chase started. With my aggressive pacing I was picking up runners and people were encouraging me a lot: It made me feel like I could give more than 100%. I was able to hold this pace until the fourth and last lap in which I was already in second place. 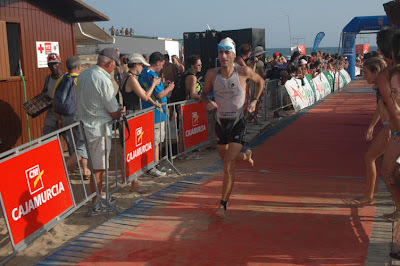 As it was nearly impossible to get the first place and the third one was quite far behind, I started to enjoy the result even though I was suffering a lot because I was completely exhausted. Finally, I arrived in 2nd place in the 30-34 Age Group (also 2nd overall), stopping the clock in 1h 59’ 11’’, 10 seconds behind first place. Congratulations on an awesome result!